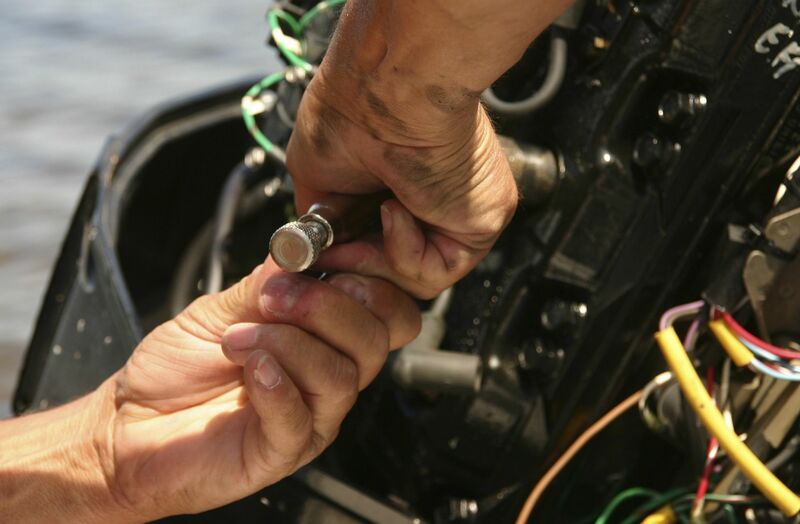 A high school student was working at a boat sales and service shop and was asked to adjust the idle speed on a customer’s boat. The boat had a 120 horsepower engine. He removed the engine cover to perform the service. A flywheel and ring gear were located on the top of the engine with no cover or guard. The service required the engine to be running to adjust the idle speed, and the mechanic was attempting to adjust the throttle stop screw when his right arm contacted the unguarded rotating flywheel causing significant injuries to his arm. When investigating this incident, I determined that a cover or guard covering the flywheel would have been technologically and economically feasible. My research also included an industry survey showing that almost every outboard engine manufacturer does provide a cover or guard over the flywheel, including the sister company of the manufacturer of the engine involved in this incident. Had this manufacturer provided the critical flywheel guard, the mechanic’s injuries would have been prevented. DANIEL McDONOUGH, P.E., ACTAR, is a mechanical engineer and accident reconstructionist at ARCCA specializing in the safety of mechanical systems and devices including: automotive, marine, aviation, recreational, commercial and industrial equipment and systems.